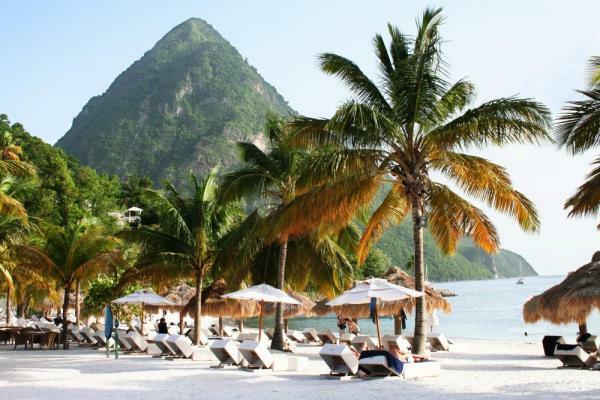 Take this opportunity to explore the enchanting islands in the Caribbean Sea. Join Le Champlain on its 8-day cruise combining long, white-sand beaches and the easy Creole way of life. 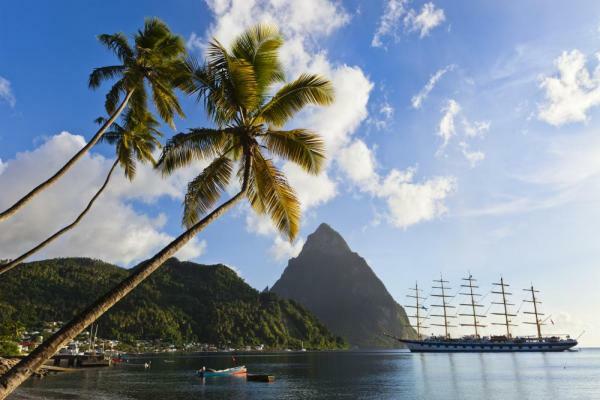 Discover the UNESCO-listed sites in Saint Lucia and the historic center of Bridgetown and its garrison. 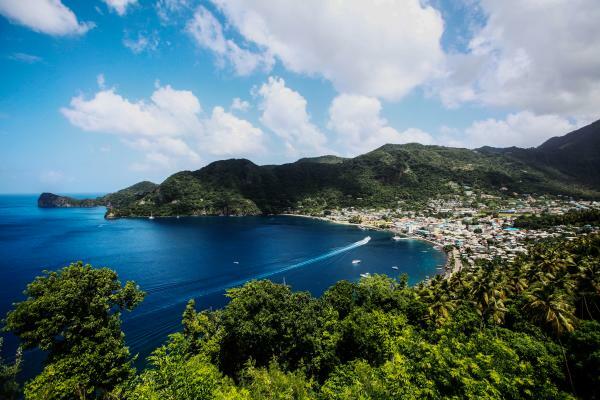 Visit the pearls of the Grenadines then sail to Les Saintes which is known to have crystal-clear waters and fabulous seabeds where you can possibly find turtles, barracudas, and spiny lobsters. Sail back to Bridgetown and disembark after your amazing Caribbean cruise! Bridgetown, the bustling capital of Barbados, is located on the island's south-west coast. Its historic quarters are UNESCO World Heritage sites and contain prime examples of British colonial architecture, which you will see between the postcard-perfect fishing harbor and St Ann's Fort. Streets shaded by palms and flamboyant trees lead you to the Anglican cathedral church of St Michael, built from coral stone, the Barbados Museum and George Washington House, a Georgian-style mansion. There'll be plenty of time to relax on the Caribbean beaches of Carlisle Bay, a few paces from the old town center. 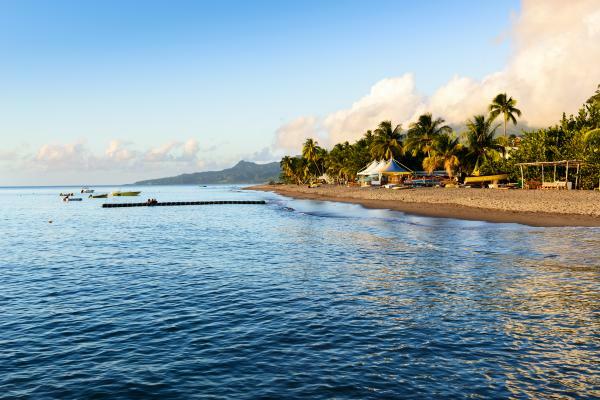 Located on the western coast of Martinique, Fort-de-France will amaze you by the splendor of its bay, a magnificent cut-out in the coastline, considered as one of the most beautiful in the world. At the harbor mouth, on its strip of land, fort Saint-Louis overlooks the capital city of Martinique. If you climb up to it, you can see some breath-taking views. Saint Louis Cathedral and the Schoelcher library bear witness to a secular history, intimately linked to the island’s story. Why not try some fresh coconut at the colorful Grand Marché. Two really pleasant places you can take a breather in, right in the heart of the city, are the garden of Balata and the Aimé Césaire park. Delicately set against the back of a bay on the west coast of Grenada, Saint George’s attracts newcomers by the beauty of its location and its friendly, festive atmosphere. This “spice island” capital is an excellent base for visiting the surrounding natural sites, but you’ll also want to spend some time here moseying around its narrow streets where colonial houses and lush green gardens coexist. 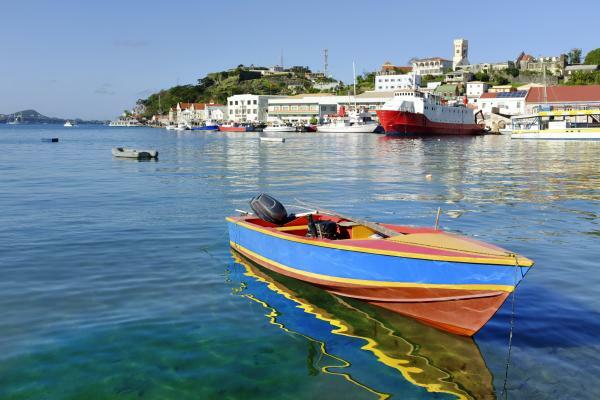 Carenage is Saint George’s lively commercial fishing harbor, high in color, especially when the boats are being loaded with fruit and vegetables destined for neighboring islands. 5 kilometers south, the Grand Anse beach is one of the most beautiful in the Caribbean islands. Linked to St Lucia by a sand causeway, Pigeon Island has been a designated National Park since 1979. The tropical vegetation of this wild, protected island is home to abundant birdlife. It is easy to explore on foot; the remains of Fort Rodney offer an insight into the regionﾒs naval history as well as fabulous views. Two beautiful beaches nestle on the southern side of the island, where you can take a ﾓsnubaﾔ dive adventure, an exciting mix of diving and snorkelling. Disembark in Bridgetown this morning after breakfast. Area: 19 m². 4m² private balcony with French window. King-size bed or twin beds, and shower. Area: 19 m². 4m² private balcony with sliding bay window. King-size bed or twin beds, and shower. Area: 27 m². 6m² private balcony with sliding bay window. King-size bed or twin beds, and shower. Up to 3 passengers per cabin. Area: 38 m². 8m² private balcony with sliding bay window. King-size bed or twin beds, and shower. Area: 32 m². 8m² private balcony with sliding bay window. King-size bed or twin beds, and shower. Up to 4 passengers per cabin. Area: 45 m². 30m² private balcony with sliding bay windows. King-size bed or twin beds, and shower + bathtub. Area: 45 m². 30m² private balcony with hot tub and sliding bay windows. King-size or twin beds and shower + bathtub.